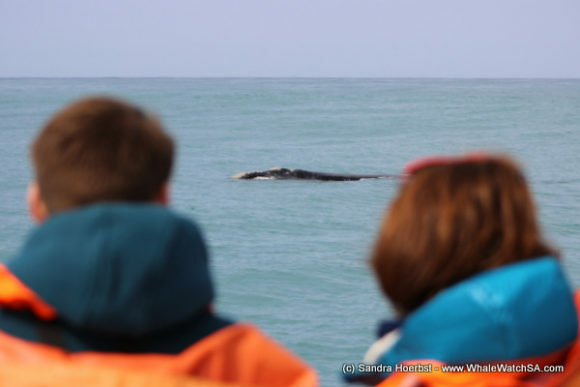 The wind calmed down a lot since yesterday and some more whales moved towards Pearly Beach. 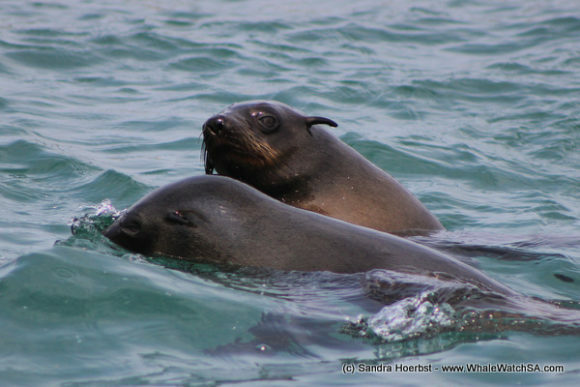 We started our trip, cruising along the coast towards our sister company Marine Dynamics. There we stopped a couple of minutes to see some sharks and we were in luck. We saw a Copper shark and a Great White shark casually swimming just beneath the surface. 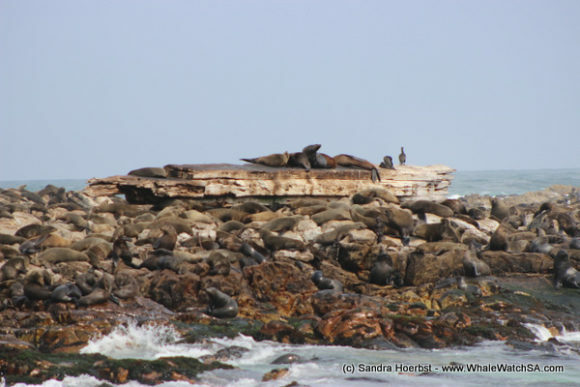 We continued to Pearly Beach where we find most of the Southern Right during our whale watching season. 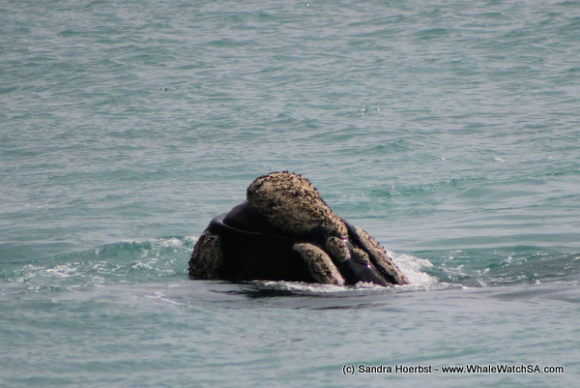 Firstly we spotted a female, rolling around and waving with her 2tonne flipper at us. 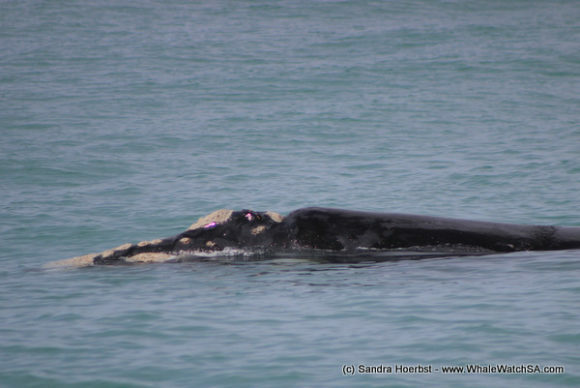 As we spotted some more whales further we left her behind to see what they where getting up to. 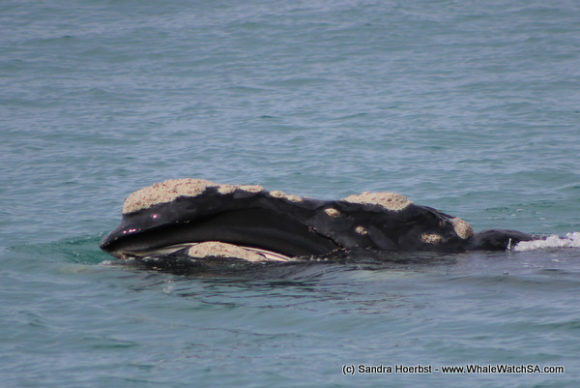 She clearly wasn’t happy that some other whales stole the show and she breached to catch our attention again. After watching her for a little longer we moved onto the group of whales ahead. 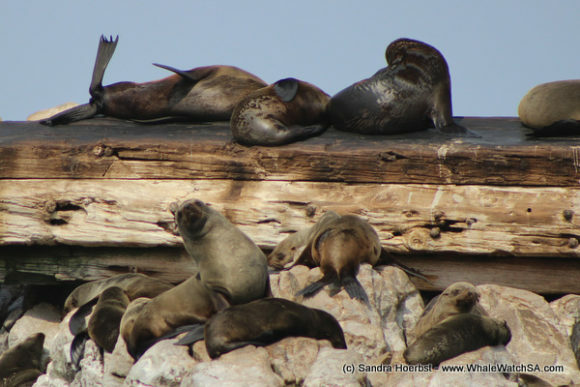 We spent plenty of time with these beautiful animals before we continued our tour to Dyer Island and Geyser Rock where we visited the Cape Fur real colony and got to see some African penguins.